Casting doubt on the division between the scientific and the spiritual, Neil Folberg’s “Celestial Nights” series is a tribute to the sublime. 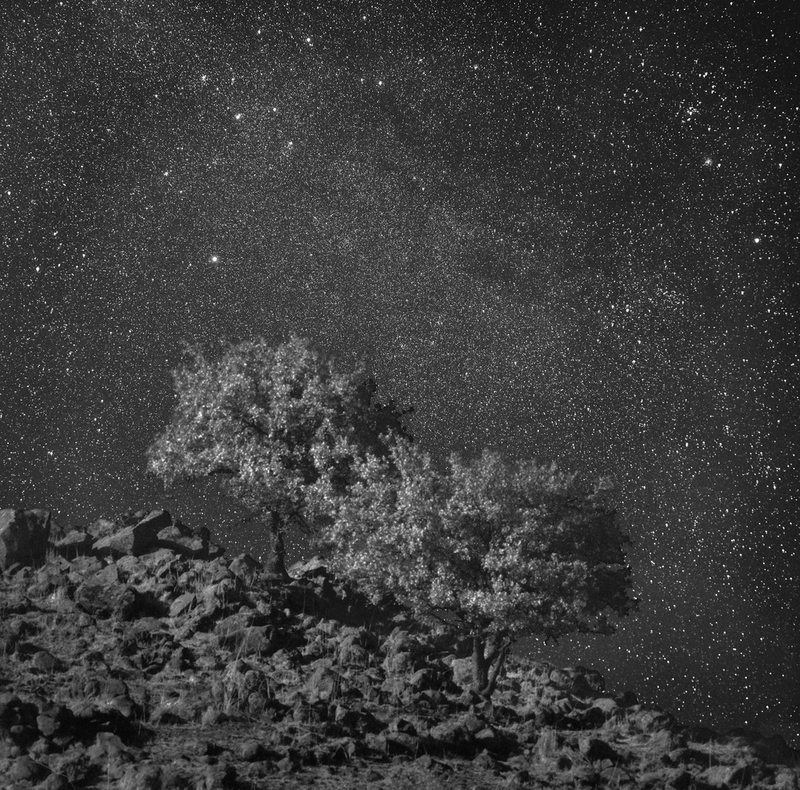 The large-scale black-and-white photographs of star-filled nighttime skies over the holy lands of Israel and Sinai juxtapose humanity with the infinite. 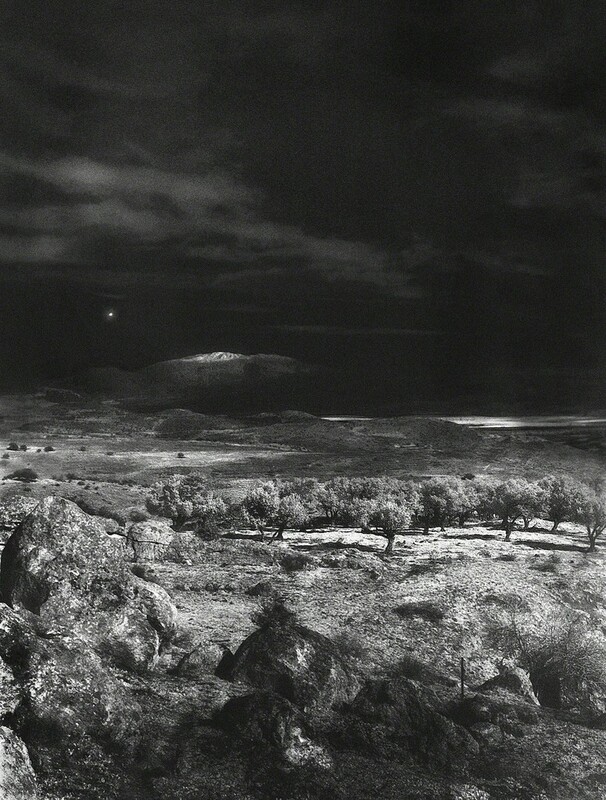 Folberg, who is well known for his color photography focused on the Middle East and Jerusalem—where he has lived since 1976—returned to black-and-white photography in the late 1990s, influenced by his former mentor and colleague Ansel Adams. 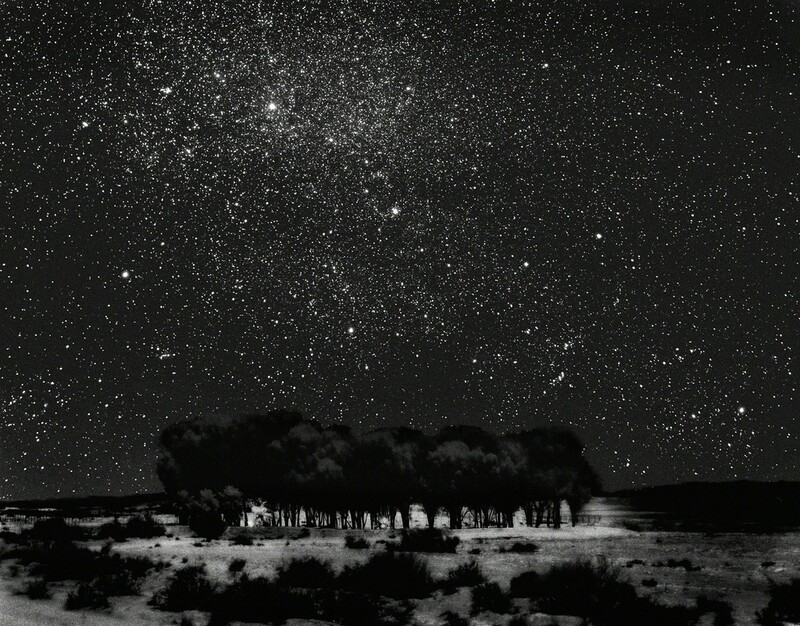 The dense curtains of stars and dramatically lit deserts that define “Celestial Nights,” taken between 1997 and 2001, were captured through the use of multiple exposures, allowing for a heightened response to the available light. In Folberg’s richly contrasting images, deep blacks are accented by flecks of white light that highlight earthly and celestial details alike—from ancient ruins to windswept trees to faraway galaxies. Compositionally, the rocky landscapes are set low in the foreground against a sweeping backdrops of sparkling skies, represented with a nearly scientific level of detail. 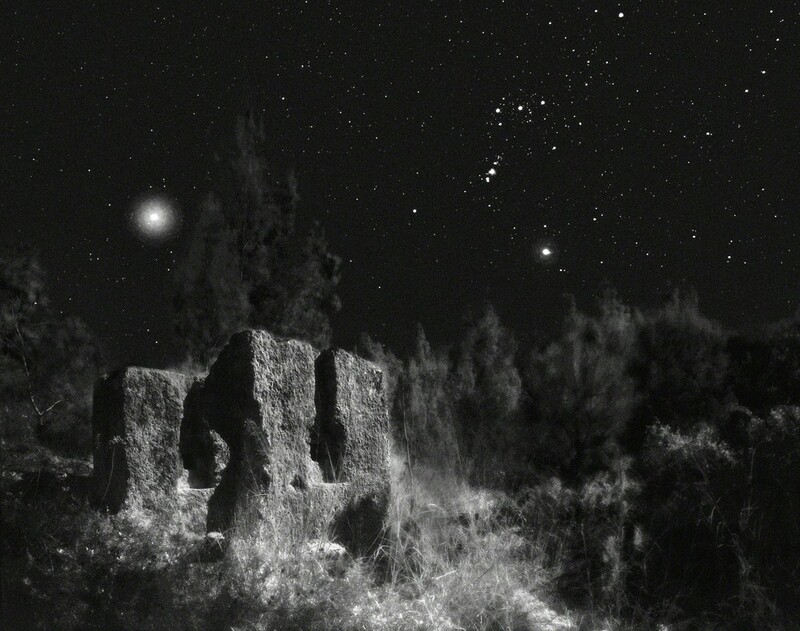 “Celestial Nights” has been widely celebrated, shown in an international traveling exhibition organized by the Aperture Foundation and featured in the award-winning companion book, Celestial Nights: Visions of an Ancient Land. 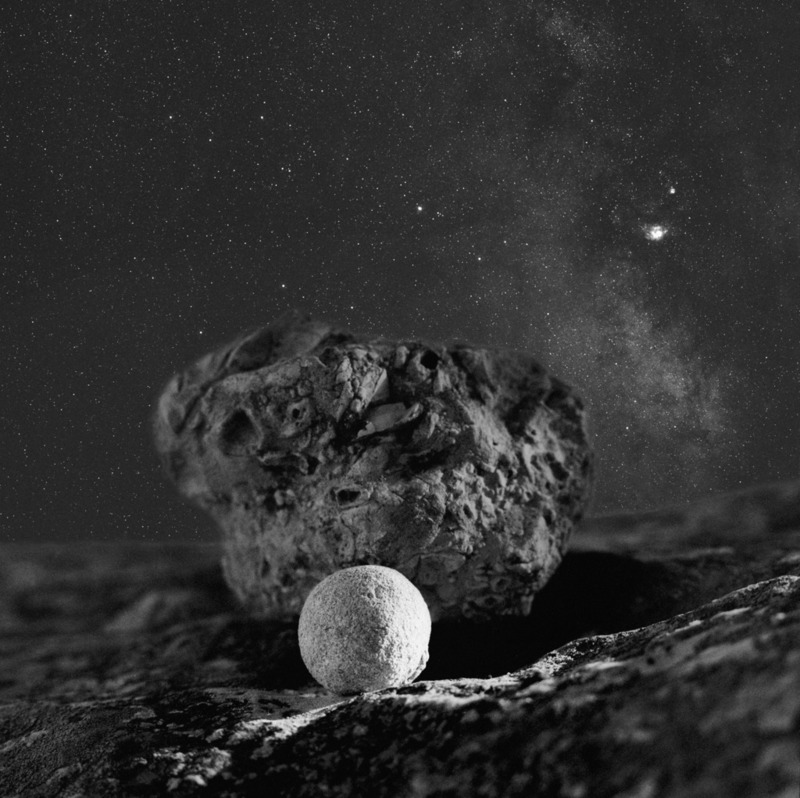 Folberg continues to produce photographic work on a wide variety of subjects—recently, he has trained his lens on the stark mountains of Israel and Iceland—and runs the Vision Neil Folberg Gallery in Jerusalem.